The Amana Corporation was founded in 1934 in Middle Amana, Iowa, and began producing air conditioners in 1954. This company has more than 80 years of experience producing high-quality appliances and more than 60 years producing air conditioners in the USA. 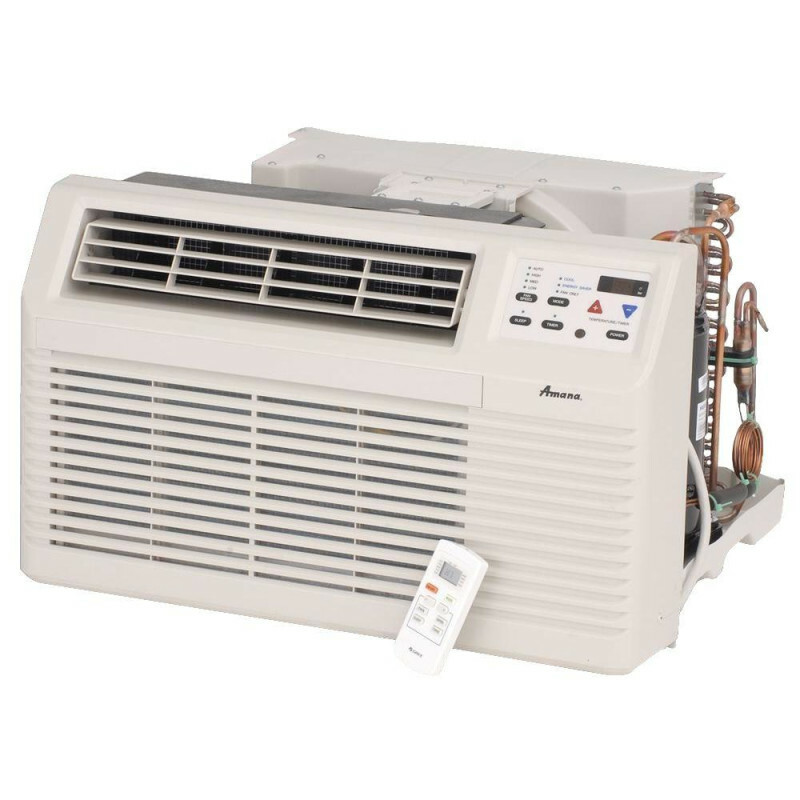 This means that Amana's PBC092E00AX Through-the-Wall Air Conditioner is an ideal choice for those seeking reliability, durability, and overall excellent cooling. This particular unit has a cooling capacity of 9,000 Btus, so it can effectively cool a room with dimensions of about 350 to 400 square feet. Additionally, unlike other Amana TTW air conditioners, it does not have a heating element. 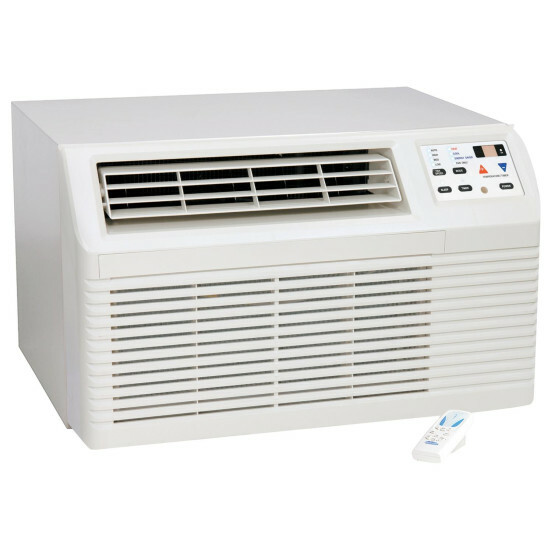 This unit's adjustable airflow control allows for precision, fine-tuned direction of cool air to any area of the room. Its digital controls and included remote control further increase its ease of use. Meanwhile, Amana shows their concern for production of eco-friendly appliances with this model: it is Energy Star rated and has an energy efficiency rating of 9.8 EER. Additional features of this unit are markers of its industry-leading quality. The easy access slide-out filter, solid bottom on the outer case, and hydrophilic coating on the evaporator and condenser coils ensure consistent function. The PBC092E00AX's chassis-type slide-out design means straightforward installation and easy access for any service needs. Having gone through a 100% full factory run test, efficient functioning is guaranteed. For further peace of mind, note that Amana's warranty is strong. A one-year warranty for the entire unit and five-year warranty for sealed-system components mean the user has little to no reason to be concerned about the possibility of this unit breaking down prematurely.